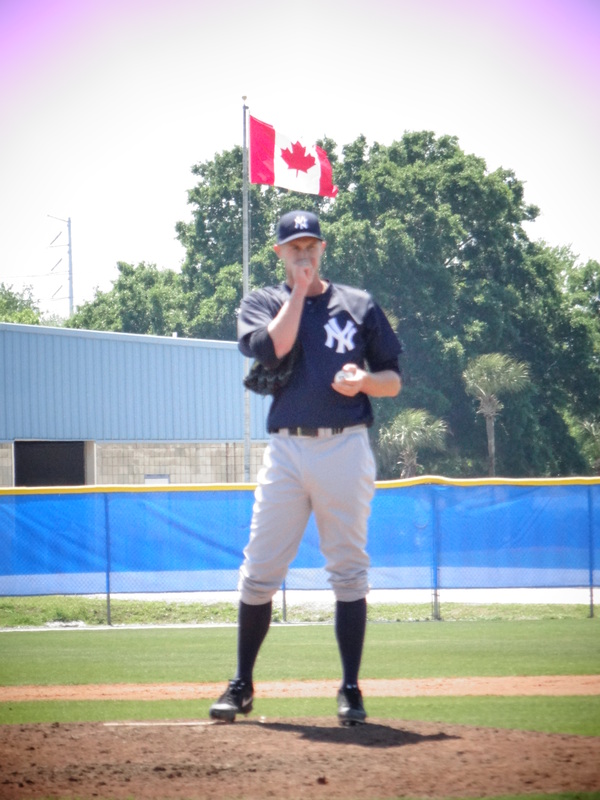 DUNEDIN, FLA.–Mississauga resident Chris Leroux finishes his final extended spring outing Thursday for the Yankees at the Blue Jays minor league complex. Leroux said of his stay in extended, “I was promoted from the bullpen to a starter when I was sent down during spring training to stretch it out. It wasn’t because of getting hit on the (right) knee during a game against the Blue Jays. I think it was Josh Thole who hit me.” Leroux will next start on Tuesday for Scranton against Buffalo in Buffalo. Over parts of five seasons in the majors Leroux is 1-2 with a 5.56 era with the Pirates and Marlins. Leroux was drafted by the Florida Marlins in the 7th round of the 2005 amateur draft.